In an age of specialization, people are less aware of what makes the best work what it is. They may sense it, but don't face it. As a measure of quality technique is secondary, whether it's oil paint or piano playing. What's great in Velazquez is not simply that he's chosen to describe perception, the glow of light that hits the eye rather than the thing we want to call perceived, but that his work describes the weight that decision held for him. 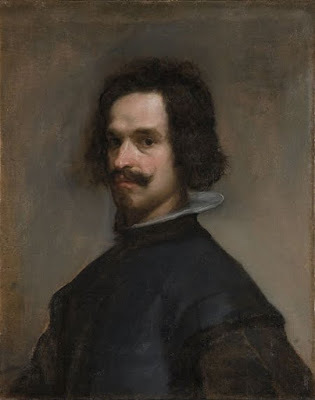 Velazquez was a devout Catholic, a defender of the universal church and the loyal servant of an absolute monarch, and yet he could not bring himself to paint absolutes. He painted perceptions because he understood as an empiricist of daily life that perceptions are all that we know. And we see for perhaps the first time in the history of western pictorial art not images and descriptions of faith but of the desire for faith, not the nobility of a political or religious order but the nobility of the need to believe, in what experience shows to be untrue. Questions of technique or technical innovation are important to historians of form and style. Symphonic form and fresco had their heights, meaning each had a moment when it mapped the sensibility of an age so closely that it acted as a natural product or outgrowth: the age in microcosm. We study evolution in technique because every major form in its development was once necessity, required for the full description of a social, political, linguistic and moral reality. We should be willing to study devolution for the same reason, but by and large we aren't. Technique is only interesting, or only profound, when acting as the model for, and more than that manifestation of, a form of consciousness. If you can't sense tragedy in Velazquez you can't understand the work; and if you sense it, it's worth understanding what it is and where it comes from. Similarly it makes little sense to study technique in Goya, or Manet, without admitting to their limitations in its use, and so the limitations of their chosen form itself, increasingly inappropriate to the modern age. 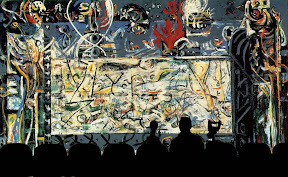 Art critics are advocates, historians have no need to be: that's their advantage. It's clear to the disinterested eye that Goya was one of the last of the "Old Masters" in the 18th century, but it should also to be clear that he was one of the first "great illustrators" of the 19th. This means just what it sounds like it means.